Last April, former President Park Geun-hye, the first woman president of South Korea, was sentenced to 24 years in prison after having been found guilty of abuse of power. But the ex-ruler is far from being the only figure involved in this type of controversy. This year, South Korea has been the scene of major corruption scandals, which also include Kim-Yong Hi, current Secretary General of the Association of World Election Bodies (A-WEB), who is under police investigation for electoral corruption. Kim-Yong Hi is being accused of exclusively favoring local firm Miru Systems Co., Ltd. in electoral assistance agreements signed by A-WEB under alleged "international cooperation". According to Kwon Mi-hyuk, representative of the Democratic Party of Korea, A-WEB and Miru System signed an illicit agreement to assist the official foreign aid projects from 2015 to 2017, when supposedly a public bidding process was to be held. However, the general secretary of A-WEB said the firm was the only one with the technical capacity to offer electoral technology in the region. In addition to allegations of bribery, Miru is being questioned about the malfunctioning of its electronic voting devices. Their recent experience in Iraq, where the firm exported electronic voting equipment worth 135 million Dollars, ended in accusations of fraud and allegations related to flaws in the voting machines. Authorities were forced to carry out manual tallies in some areas of the country. If that wasn’t enough, things keep getting worse for the Korean tech company. 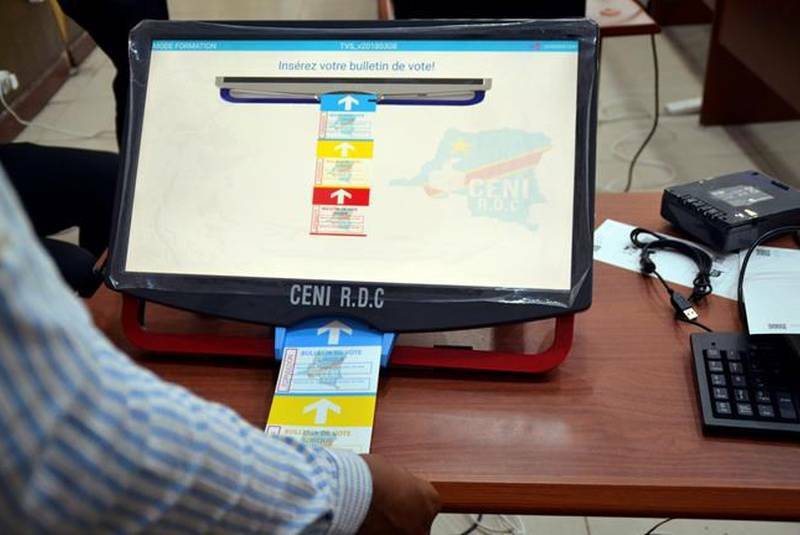 The scandal caused by the participation of Miru Systems in the Democratic Republic of Congo (DRC) elections -held on December 30- forced the former secretary of the South Korean National Electoral Commission, Kim Dai-Nyeon, to resign. In a press release he urged Kim Yong-Hi to also resign and blamed him for favoring the firm Miru Systems. Image by The Western Star. The DRC's Independent National Electoral Commission (CENI) showed off the device from Miru System to reporters on Feb 21. At the beginning of November, press articles began to circulate stating that the Blue House had recommended appointing Kim-Yong Hi as a permanent member of the National Election Commission. Being a permanent member of the Commission gives the authority to determine what is right or wrong within the NEC. As a result, several representatives of both opposition parties and the government itself have been actively demanding an official explanation from the Blue House, and questioning the reasons that led it to ignore the police investigations in which the current secretary of A-WEB is involved. Accordingly, the A-WEB office is inactive, after its budget of 4 million dollars was slashed to little less than 2 million after a NEC decision. Some representatives of the governing party have asked A-WEB's general secretary to accept his responsibility for his faults, and allow the organization to continue working, as since that budget cut many young people working for the organization were left unemployed. Only time will tell what the future holds for A-WEB.